Yes, the stock market is near all-time highs, official unemployment (after “adjustments”) registered a multi-decade low, and official inflation (after “adjustments”) is low but rising. Those measures do not portray the economy for most people. The U.S. economy runs on credit, corporate debt for stock buybacks, student loans, mortgage debt, auto debt and credit card debt. Slowing a 60 year trend is an important transition. Credit growth slows and the non-financial economy weakens, poverty increases, homelessness rises, drug addiction soars and political polarization goes ballistic. Now is a time for transition. Note: The national debt growth rate did not materially change after the 2008 crisis. Politicians will spend. 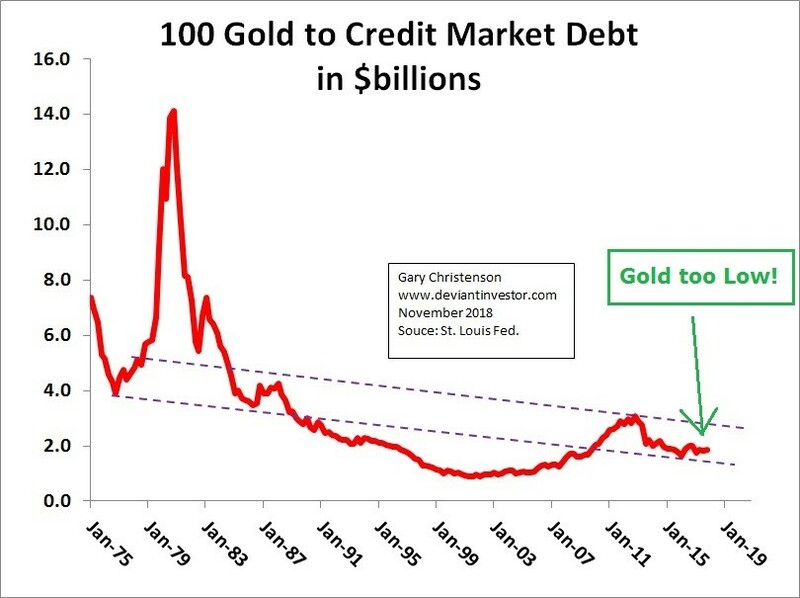 IS GOLD INEXPENSIVE COMPARED TO TOTAL CREDIT MARKET DEBT? Gold prices are low when compared to total credit market debt. Examine a forty-year trend. Expect gold prices to rise as increasing debt devalues the dollar. Mortgage rates hit a seven-year high and the 10 Year T-Note yields over 3%. So what? Total U.S. credit market debt is about $70 trillion. The 10 year rate doubled in the past two years. Suppose that 1.7% increase applied to $70 trillion of debt. The cost to corporations, state and local governments, credit card holders, students etc. would be $1.2 trillion of reduced spending on other necessities. Excessive debt kills when interest rates rise, and they are rising. The S&P 500 Index is an important index. Note the two decade pattern – multi-year rise, optimism, peak, breakdown, crash, pessimism, bottom and repeat. 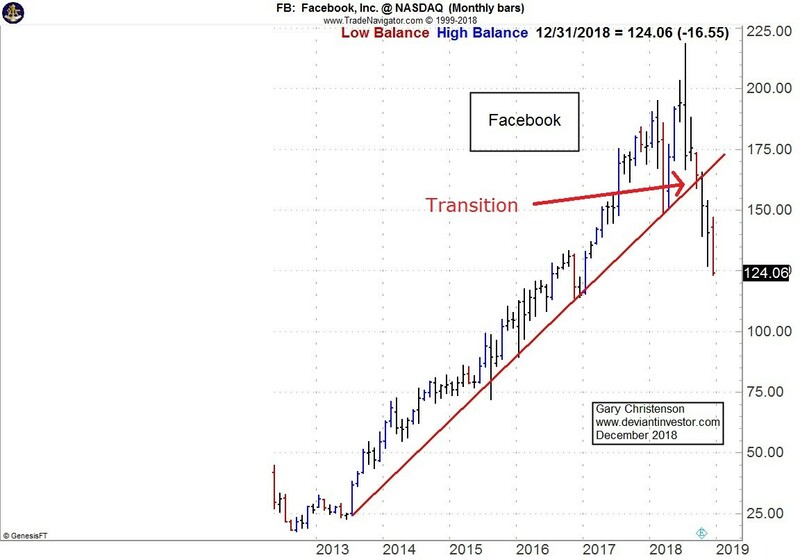 Consider the high-flyers, Facebook, Apple, Netflix, and Amazon. These charts are no longer positive. 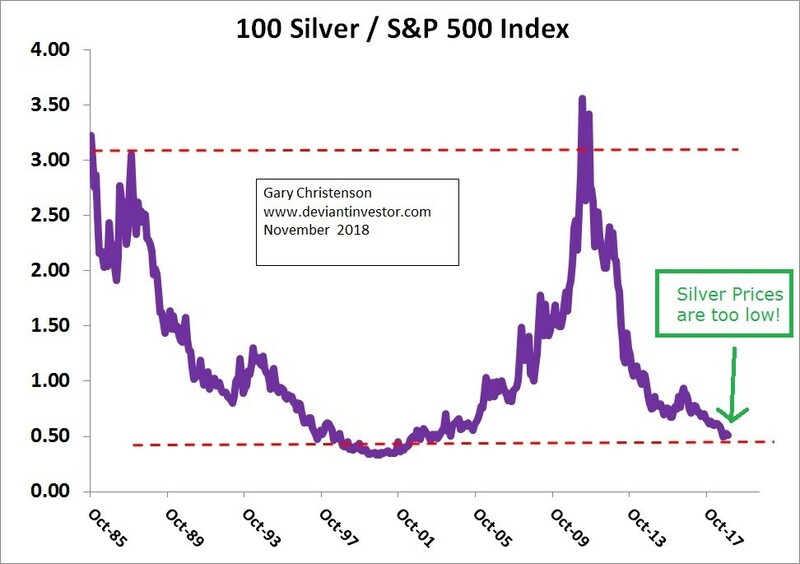 Silver bubbled into the stratosphere in January 1980, much like the NASDAQ 100 in early 2000 and Amazon stock in September 2018. After the bubble high, silver fell for two decades and lost over 90% in nominal value, and more if adjusted for real inflation. Examine the ratio of silver to the S&P 500 index since 1985. That ratio is low, about the same level as it was in 2001, before silver prices rose by over ten times. The gold to S&P 500 Index ratio is similar but silver is more under-valued compared to the S&P. The silver to gold ratio is important because it shows long-term turning points in both metals. Silver prices fly higher and fall deeper than gold prices. The ratio of silver to gold is low when metals prices are low, and high when both gold and silver have moved upward too far and too fast. The green circles show lows in silver prices and the ratio. They also indicate excellent buy zones for both metals, particularly the most under-valued metal—silver. WHAT DO THE ABOVE GRAPHS PROVE? Interest rates have bottomed and are rising. Stocks have peaked and are falling—probably for a long time. Silver and gold prices are low and will rise, perhaps soon. Silver and gold are low relative to total debt, the S&P 500 and many other measures. 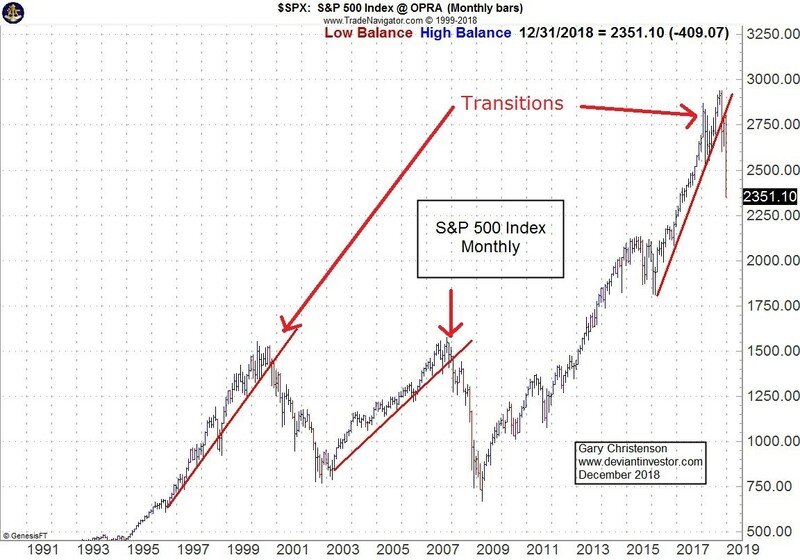 Markets can remain disconnected from common sense and fundamentals for a long time because our financialized economy and The Fed destroy valid price discovery. 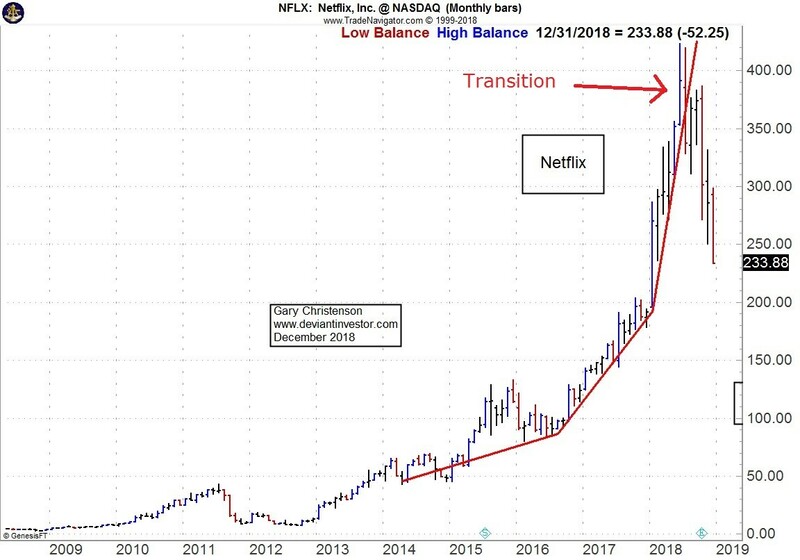 High-Frequency-Traders push markets too high (Amazon) and too low (silver), but those extreme prices can become even more crazy for many months. 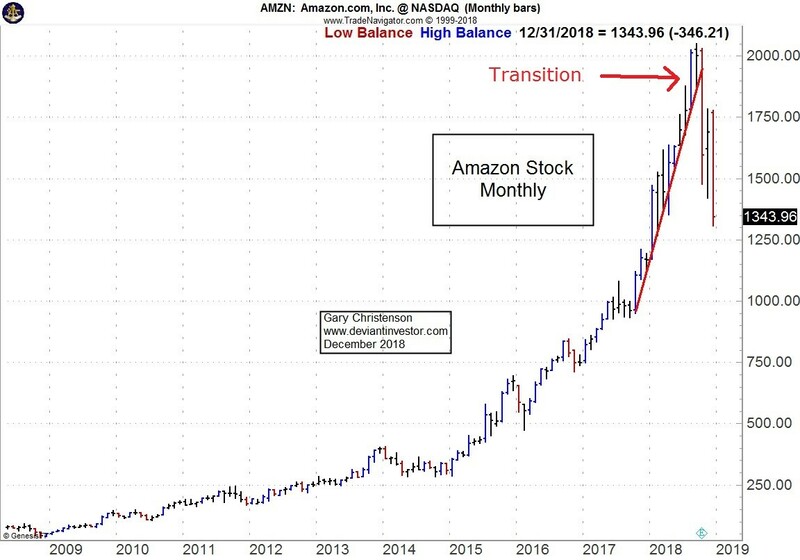 Amazon was “too high” months before it peaked. Debt can’t increase forever, but debt has risen for decades. Eventually the rate of increase slows (since the 2008 crisis) and debt fails, resulting in massive defaults or hyper-inflation. Someday the system will rebalance. Someday the economic system will no longer carry excessive debt. Individuals and businesses will fail, politicians will scream, and the Federal Reserve will print trillions of digital currency units to “paper over” the problems, rescue crony banks and businesses, and reward the political and financial elite. It has happened before and will again. Perhaps that “someday” has arrived. 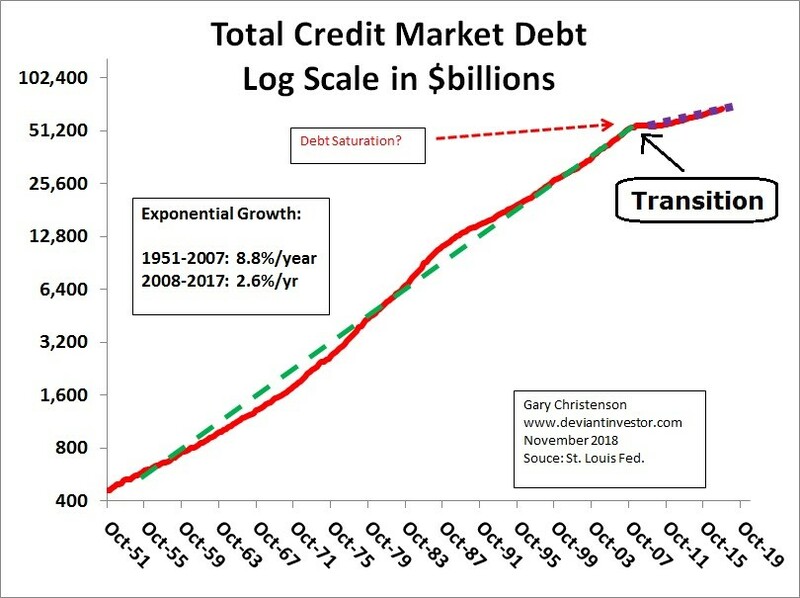 Total credit market debt growth has slowed since 2008. Interest rates are rising. 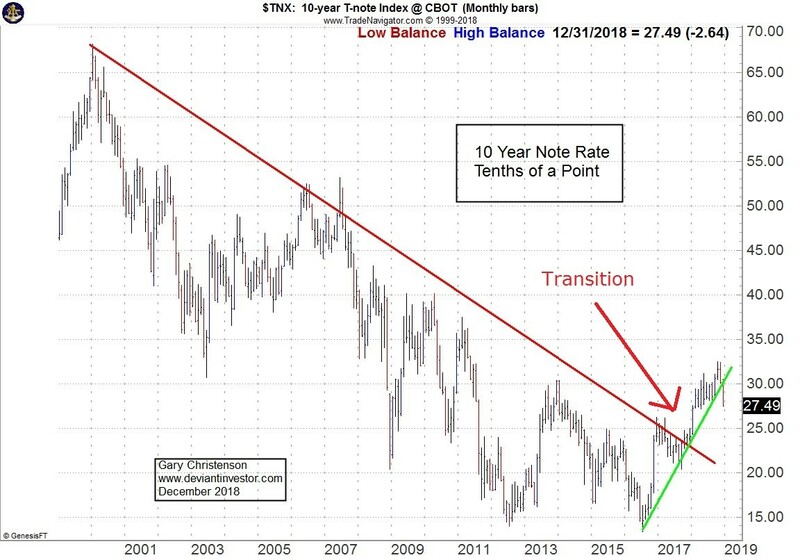 The 30+ year trend of lower interest rates has turned. Interest rates could rise for years or decades. The last rising trend took over 30 years—post WWII to early 1980s. The Fed is raising short-term rates and promises more increases. Rising interest rates are “death” to an over-indebted economy, indebted corporations, households with excess debt, students paying loans etc. Rising interest rates usually precede stock market corrections and recessions. The coming recession will bankrupt many businesses and individuals. Public and private pension plans are under-funded. A few have failed, and many more will fail following the next recession. The high-flying tech stocks have turned downward. Silver and gold are over-sold compared to stock indices, and total debt. Prices will rise as capital seeks safety. 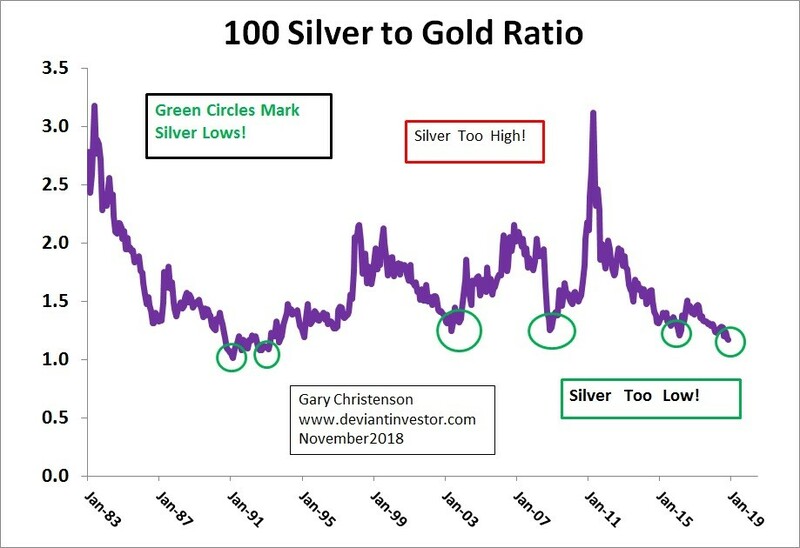 The silver to gold ratio indicates a long-term buy signal for both metals, particularly silver. Metals prices might be lower next week or even next year (doubtful). But ask yourself if stocks or metals will be higher in three years. 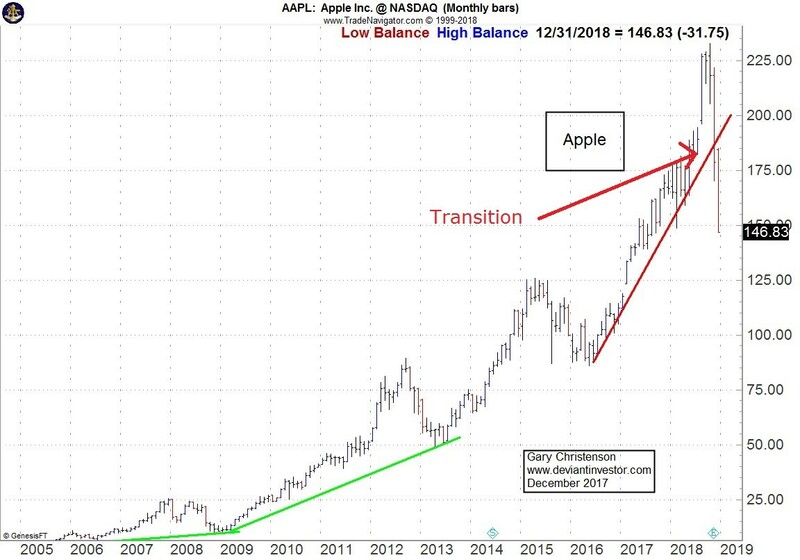 Knowing most stocks are near all-time highs and metals are low, do you feel more confident with stocks or metals now and for the next several years? Think risk versus reward.